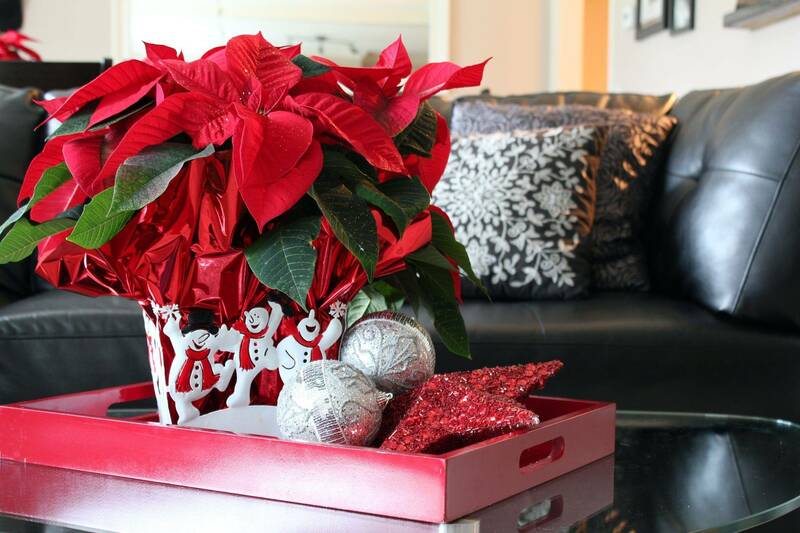 To keep your poinsettia looking good, give them a sunny, south-facing windowsill or a spot with lots of bright light. Don't press them close to a cold windowpane however, because this can damage the leaves. Heavy cold or hot drafts will also cause leaves to drop so do your best to keep it from extreme temperature changes. Keep them at about 20º C during the day, and a little cooler at night, to prolong the display. Poinsettias should be kept evenly moist. Never let plants sit in water; always empty their saucers shortly after watering to ensure they are not sitting in water which will quickly cause root rot. 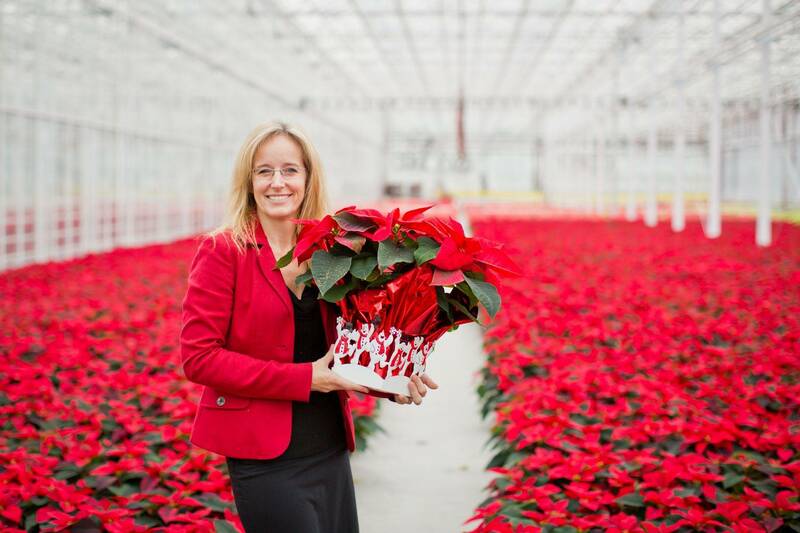 The most likely cause of a poinsettia wilting soon after purchase is due to over watering. Likely you will only have to water once per week but to check poke your finger 1/2inch into the top of the soil; if it feels dry it likely needs water, but if it is still wet, hold off. If you don't want to get your fingers dirty you can also do a weight test, a light plant needs water, one that feels heavy does not. There is little weight in the plant and soil, it is all in the water.